Have you ever wondered what therapeutic communication really is? Or how you can go about using it? Well, hopefully, this post can help you out. In the beginning of my nursing school journey, I was constantly being told to use therapeutic communication with my patients, but I had no idea what that truly meant. Communication is communication, right? Whenever I questioned what this meant, all my professors just kept mentioning to use open-ended questions and employ empathy rather than sympathy. Sounds pretty simple right? Not so much. It was not until my final semester of nursing school, in my mental health class, that I finally learned what therapeutic communication was all about. My professor had us do a process recording in which we took a verbatim report on what was said during a conversation with a patient and then analyzed what therapeutic techniques were used. We also had to identify what deterrents were used. It was a great exercise that really showed me therapeutic communication came naturally and something we do as nurses without having to think a whole lot about. My professor gave us a long-detailed list of techniques and deterrents for the assignment and I thought I might share the same wisdom with you all as well. Therapeutic communication is defined as the face to face process of interacting with a patient that focuses on the physical and emotional well-being of the patient. 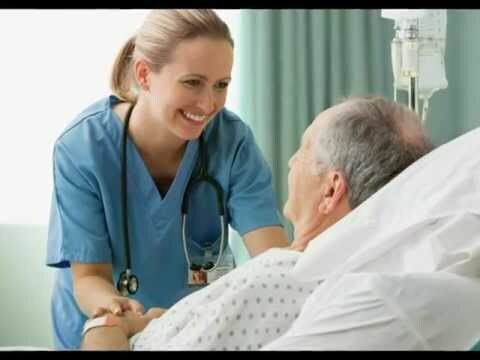 It is a technique for the nurse to gather helpful information about the patient in order to support them. It is important to remember when talking to a patient that it is about them rather than you sharing your life story. using silence: It allows for the patient to gather their thoughts, to think of a point, or to consider a new topic than the one being discussed. During silence, it is important to remember your own nonverbal communication and to not show loss of interest. accepting: Most of this do this action during active listening where we acknowledge that we are following what they are telling us. It does not imply you agree with what is being said. offering self: I think this is one of the biggest techniques. So many times I have gotten patients to open up just by stating that I am going to stay with them awhile. Offering presence implies that they are important and that you care for their time. making observations: This technique is really useful when talking with more quiet patients. By offering the phrase "You appear [tense]", the patient is encouraged to describe his emotions or actions. Restating: By rephrasing certain statements the patient has said may help the patient relate different aspects of the situation. exploring: Showing that you are interested into delving further into a subject or idea. If the patient chooses not to elaborate, then do not push the issue. Lastly, empathy rather than simply is a major key in therapeutic communication. My professors have shown my class this clip by Brene Brown about empathy. I really think it is helpful to watch and gets the point across in a way that is easy to remember.